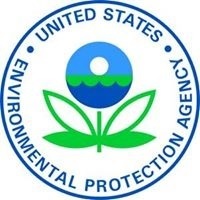 PHILADELPHIA (November 21, 2018) – (RealEstateRama) — The U.S. Environmental Protection Agency (EPA) announced it has recognized Wilmington, Delaware’s renewable energy and biosolids facility for excellence and innovation. The Wilmington facility was one of 30 clean water infrastructure projects honored within the Clean Water State Revolving Fund (CWSRF) program. The City of Wilmington’s wastewater treatment facility received a $36 million CWSRF loan to construct a renewable energy and biosolids facility for its treatment plant. This new facility captures previously flared methane gas from the plant’s anaerobic digester, and a nearby landfill and uses it to generate four megawatts of electricity annually. The CWSRF is a federal-state partnership that provides communities a permanent, independent source of low-cost financing for a wide range of water quality infrastructure projects. Over the past 31 years, CWSRF programs have provided more than $132 billion in financing for water quality infrastructure. EPA’s Performance and Innovation in the SRF Creating Environmental Success (PISCES) program celebrates innovation demonstrated by CWSRF programs and assistance recipients. The thirty projects recognized by the 2018 PISCES program ranged from large wastewater infrastructure projects to small decentralized and agriculture projects by state or local governments, public utilities, and private entities. Learn more about each of the 2018 PISCES recognized projects at: https://www.epa.gov/cwsrf/pisces.